There are two main reasons for infrastructure automation. First, system administrators, IT professionals and DevOps engineers need to automate as many routine tasks as possible. That’s why we build tools at Stackify to help developers automate processes like application performance management, error monitoring, and log management; automation means you have more time for mission-critical tasks. Second, automation makes the management of complex, diverse environments possible and allows rapid scaling. Whether you are using a public cloud, private cloud or hybrid cloud, infrastructure automation tools will come in handy. 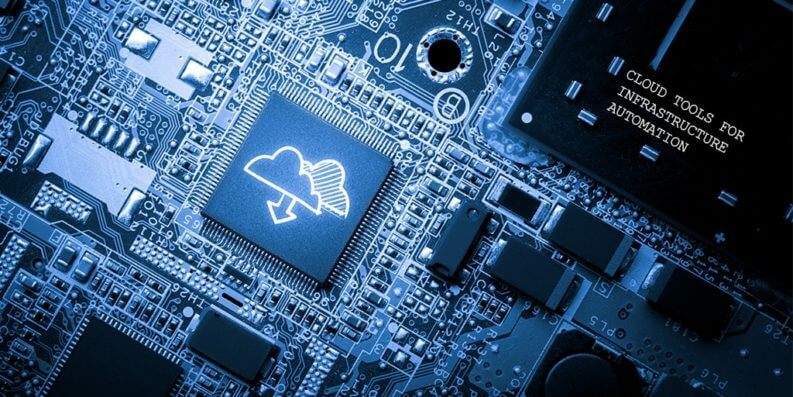 The following is a look at the 50 best cloud infrastructure automation tools available today, which we’ve listed below in alphabetical order. 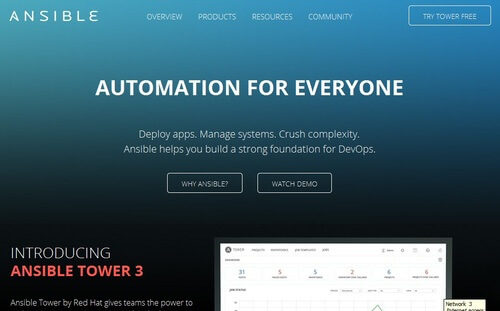 Ansible is a relatively simple infrastructure automation engine that automates application deployment, configuration management, cloud provisioning and intra-service orchestration. It has hundreds of modules that ensure the support of multiple integrations including Google Cloud Platform, Amazon Web Services, Splunk, and NetApp. Ansible allows you to centralize your infrastructure through a role-based permissions, job scheduling, and a visual dashboard. 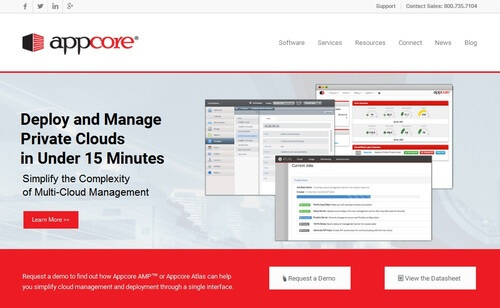 Appcore is a comprehensive cloud management tool that simplifies resource management, automated provisioning, and cloud infrastructure configuration. 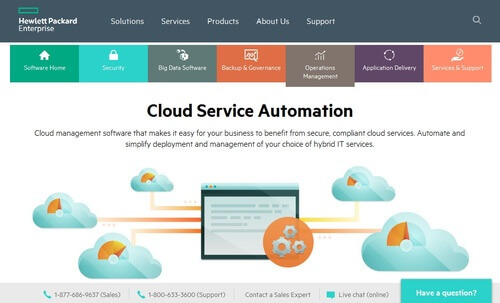 Automate delivers desktop and server automation that builds on years of experience across thousands of customers. It integrates with cloud-based and virtual computing environments and is both flexible and cost friendly. It makes easy work of schedule management, trigger management, and task scheduling. 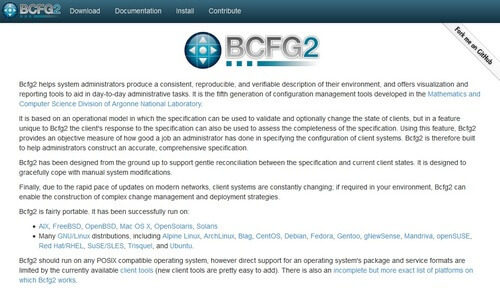 Bcfg2 allows system administrators to create verifiable, reproducible and consistent descriptions of their infrastructure environment. It has reporting and visualization tools to support everyday administrative tasks. BladeLogic Server Automation eases the speedy and secure provision, configuration, patching and maintenance of cloud, virtual and physical servers. CA’s automation solutions simplify and accelerate the transition from manual to automated service delivery. It ensures full capability across both physical and virtual infrastructure, services and applications. 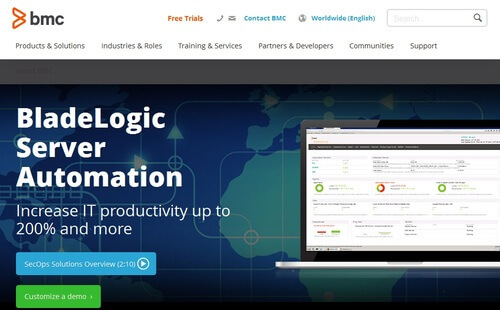 The automation drives innovation, reduces costs and speeds up business processes. One of the oldest configuration engines in the market, CFEngine was first rolled out in 1993. It automates complex, large-scale and mission critical infrastructure. Global changes are made consistently and securely while ensuring compliance. 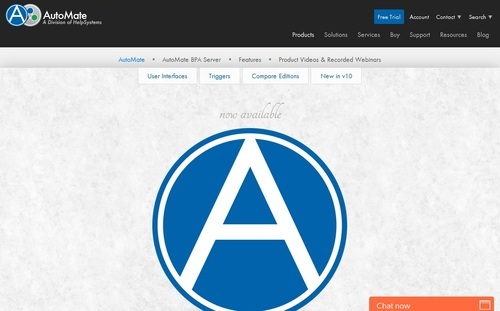 It is used by major brands including Intel, LinkedIn, Panasonic, Samsung, Chevron, Comcast and Deutsche Telekom. 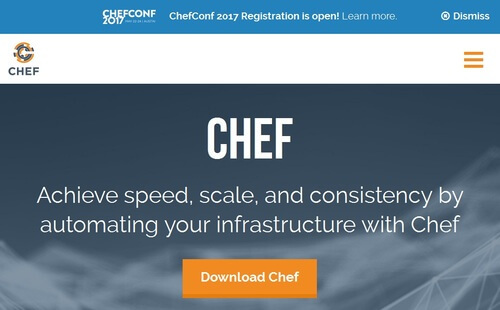 Chef is one of oldest and best-known infrastructure automation tools out there. 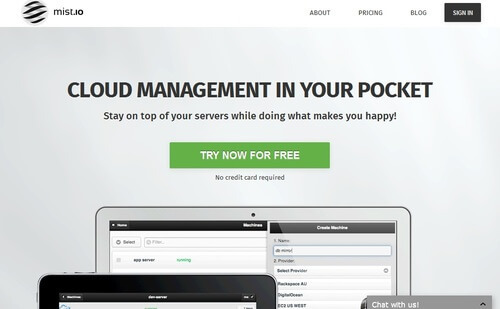 It scales easily and can be used to manage 5 servers or 5,000. 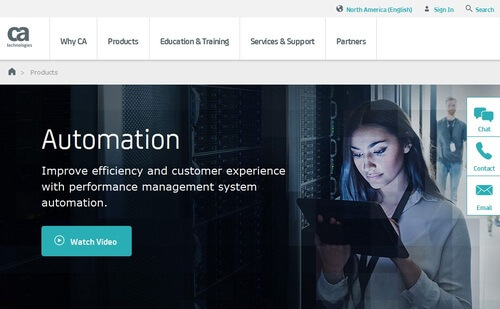 It facilitates continuous delivery and configuration management. 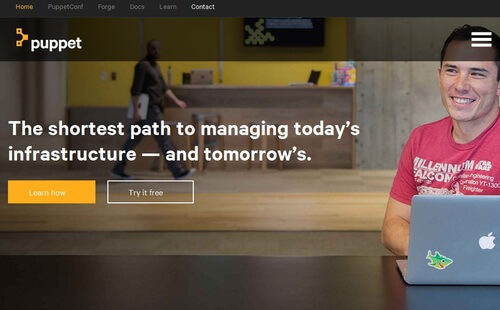 By converting infrastructure to code, Chef enables IT professionals and cloud engineers to automate the building, deployment, and management of infrastructure. Cirba provides several options for cloud environment integration, routing automation, densification, and reservation. It enables smart, automated demand management whether through the analysis of existing applications or integration with third-party portals. 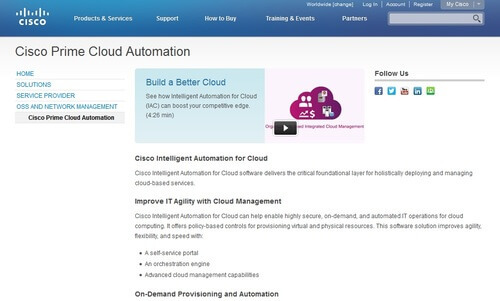 Cisco Intelligent Automation for Cloud delivers operational efficiency, responsiveness, speed and user satisfaction. Whereas this solution blends well with other Cisco products and technological solutions, it can be integrated into an enterprise’s existing non-Cisco infrastructure, systems, operational processes and service management tools. 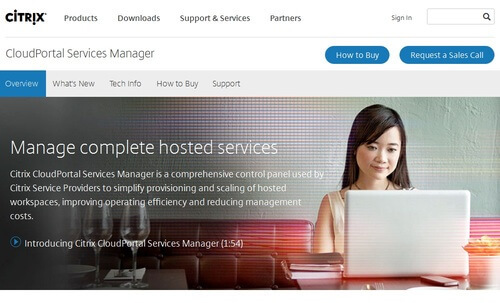 Citrix CloudPortal Services Manager is a detailed control panel used to simplify scaling and provisioning of hosted workspaces, improve operational efficiency and minimize management costs. Cloudify allows you to manage your complete application lifecycle using hybrid infrastructure via a single pane. It monitors applications in the cloud and scales them as required. 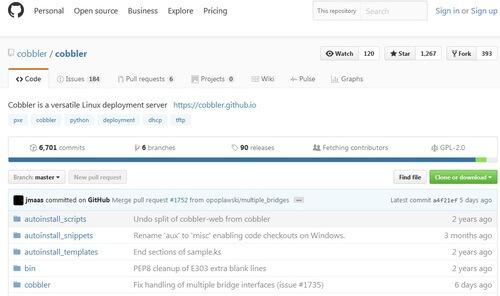 Cobbler is an installation server that allows the quick setup of installation environments. It joins and automates numerous tasks, so network administrators do not need to jump between multiple applications and commands when deploying or changing systems. It may be used for configuration orchestration, power management, package updates, DHCP, DNS and overall installation. 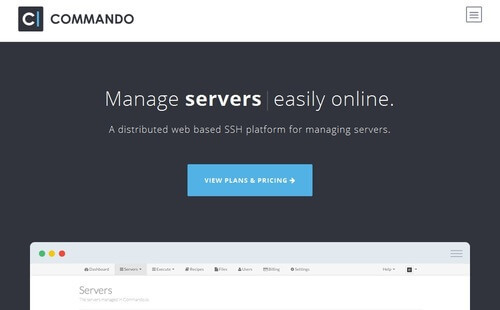 Commando is a distributed online SSH platform that provides a simple way to manage servers. It enables users to improve their workflow, increase efficiency and eliminate uncertainty over server provisioning, deployment, and maintenance. 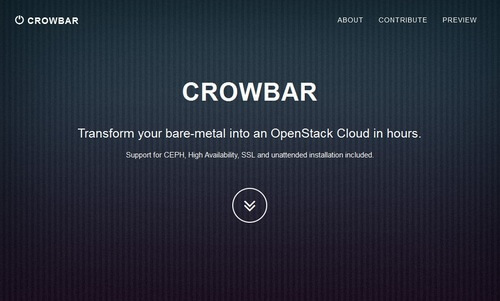 Crowbar is an Apache-2 licensed tool that allows one to build complete and easy-to-use operational deployments. Groups of network nodes can be converted into a production-ready cluster in a matter of hours. 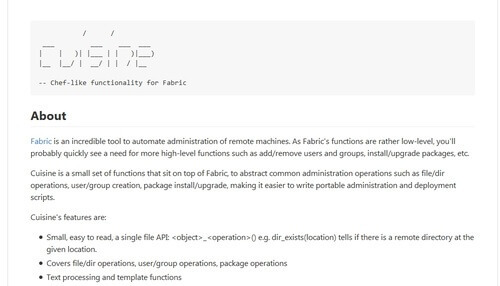 Fabric’s functions are fairly basic. If you need greater and more sophisticated functionality running on Fabric, Cuisine is what you might want to look at. It consists of several high-level functions such as upgrade/installation packages, addition/removal of users/groups as well as broader file and directory operations than are possible using basic Fabric. 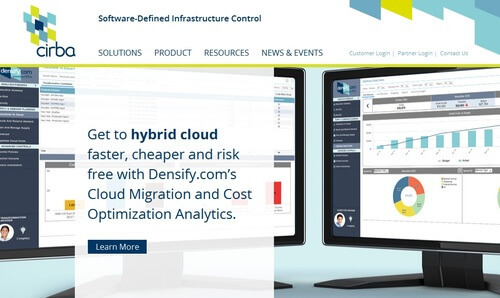 Distelli enables the rapid deployment of applications to any server. 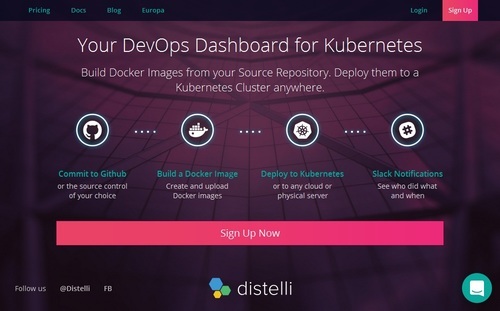 Releases are created automatically each time you deploy using Distelli. 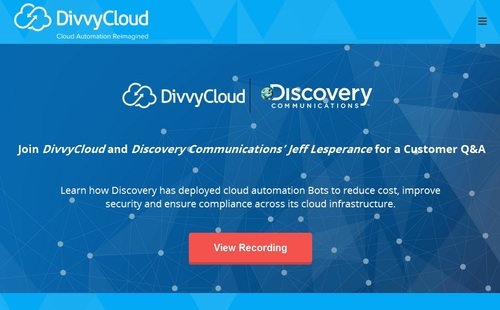 DivvyCloud BotFactory is an engine for automated policy enforcement on cloud infrastructure. It works on the principle of pervasive cloud discovery. It connects to cloud APIs to extract data on cloud resources irrespective of how they’re provisioned or where they’re running. It ensures a near real-time inventory of infrastructure via a single pane of glass. 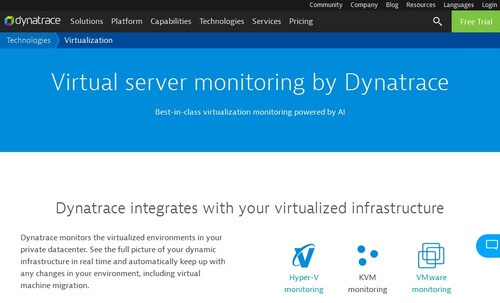 Dynatrace monitors the virtualized environment of your private data center. Technology professionals can see the complete picture of their infrastructure in real time and keep up with the changes including machine migration. 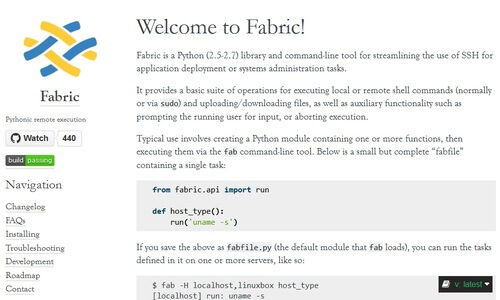 Fabric streamlines SSH use in system administrator tasks and application deployment. It is a command line tool and Python library that provides a suite of basic operations for the execution of remote or local shell commands. Fabric is most often used for the upload and download of files. 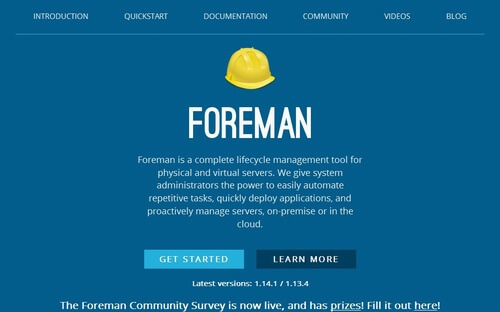 Foreman is a server lifecycle management tool. It makes it easier for system administrators to automate routine tasks, deploy applications quickly and proactively manage virtual or physical servers. Compatible with a wide range of environments including Google Compute Engine, Libvirt, OpenStack, VMware, oVirt and Amazon EC2. 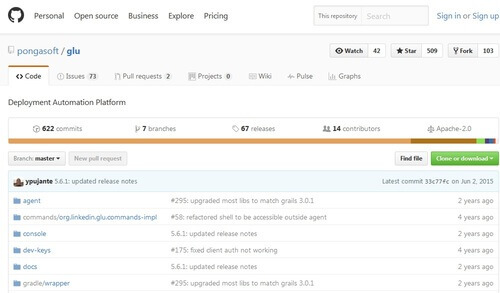 Glu is an open source monitoring and deployment automation engine. HP Cloud Service Automation suite makes it easy for businesses to benefit from compliant, secure cloud services. IT professionals can simplify and automate the management and deployment of hybrid infrastructure environment. Jumpstart hybrid or private cloud implementations with several quick options. 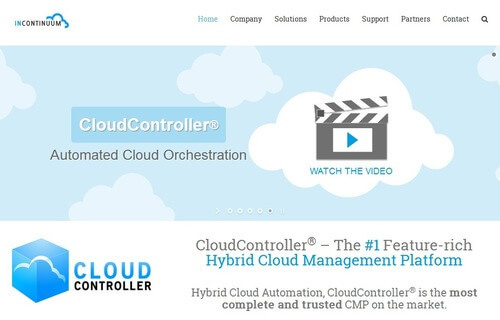 CloudController delivers consistency and coherence to back office and customer-facing technology infrastructure operations. Standardized workflows mean significant improvements in operations efficiency. It flawlessly integrates existing cloud infrastructure. 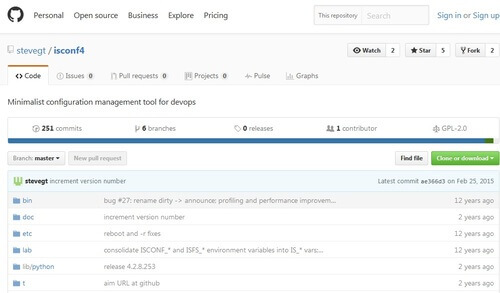 ISconf is a tool for managing infrastructure configuration and build. It is somewhat a cross between sudo and Git, Bitkeeper or other distributed version control tool. All changes made via ISconf are not only journaled but also added to a repository where they are queued for execution on target machines. Target machines do not need to be online or built at the time of queuing the changes. Once the machine is turned on and built, ISconf will consult the journal and execute the required changes in the set order. Peer-to-peer. No single point of failure such as a central server. 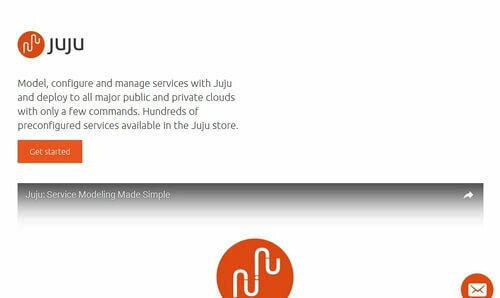 Using just a few commands, Juju enables the modeling, configuration, and management of deployments to all major private and public clouds. MagniComp RDist is an open source application for maintaining identical copies of files across multiple hosts. It preserves details of the file including owner, mode, group and mtime. 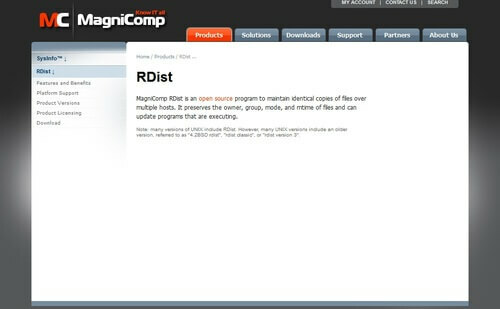 MagniComp RDist differs from older rdist versions in that the server and client portions are separated into two programs. 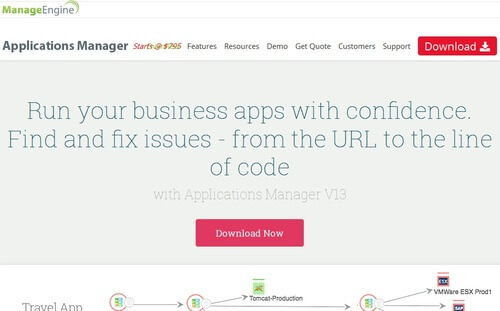 The ManageEngine Applications Manager allows you to run your business applications confidently as well as find and fix any arising issues. Mist.io is a secure cloud management engine for orchestration and automation, as well as usage and cost monitoring. It targets system administrators, developers and any IT professionals engaged in remote, on-premise or hybrid computing. 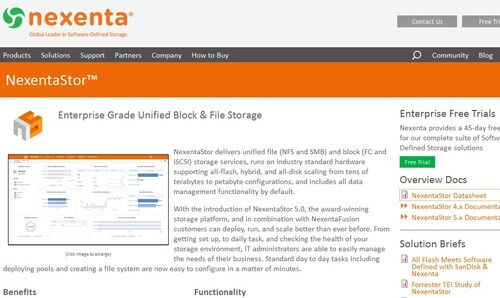 NexentaStor is an easy to use, full-featured, and unified storage solution. It allows the execution, management, and analysis of routine storage tasks. NexentaStor has an impressive track record of deployment across a wide range of industries. It helps enterprises increase performance, flexibility, and agility while lowering overall costs by 50% or more. 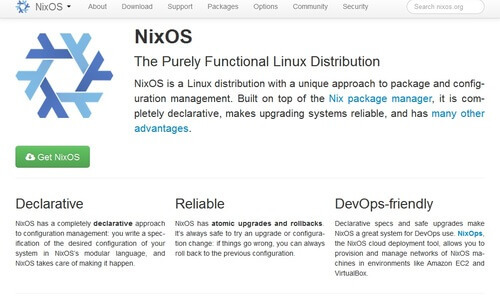 NixOS is a Linux distribution that provides a unique approach to configuration and package management. The operating system is built from a description in a wholly functional build language. Wholly functional means new configuration builds cannot overwrite previous ones. Openfiler converts x86_64 architecture to full-fledged SAN/NAS appliance of IP storage gateway. 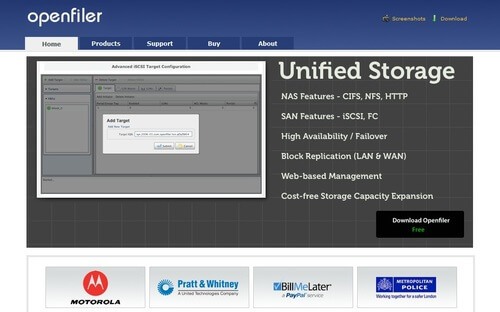 It is a powerful tool for storage administrators to cope with rapidly growing storage demands. It addresses all the key data storage indicators i.e. availability, reliability, scalability, and performance. Openfiler ensures administrators make the most use of storage capacity and system performance resources when managing and allocating storage on a multi-platform network. 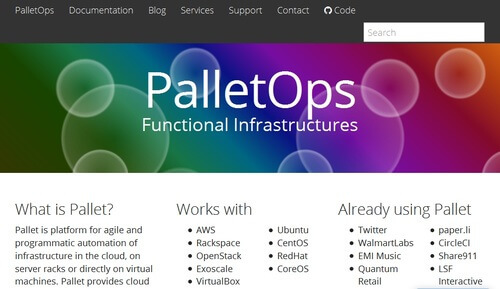 Pallet is an open source DevOps platform for agile and programmatic infrastructure automation. Well-known brands already using Pallet include Twitter, EMI Music, and WalmartLabs. By ensuring operating system and cloud provider independence, Pallet provides a deep level of customization. 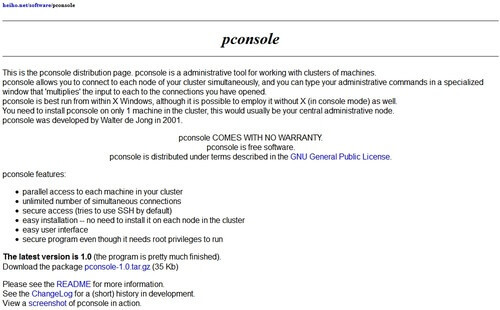 Pconsole is a system administration tool for working with machine clusters. It allows one to simultaneously connect to multiple nodes of a cluster. Administrative commands typed in a specialized window are ‘multiplied’ to each opened connection. It can be run in either X Windows or in console mode and need only be installed on one machine in the cluster. 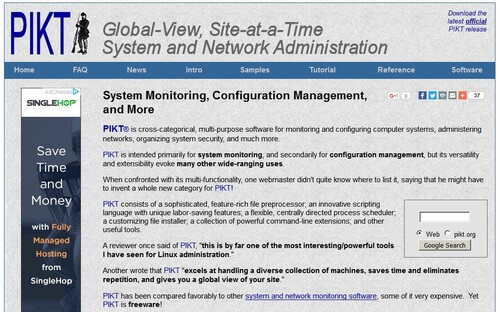 PIKT is short for “Problem Informant/Killer Tool”. It is a multipurpose, cross-categorical software for configuring and monitoring computer systems, organizing security, administering networks and plenty more. Whereas it is primarily meant for system monitoring and configuration management, its extensibility and versatility mean it has numerous other uses. It excels at handling a diverse set of machines, saving time and eliminating repetition. 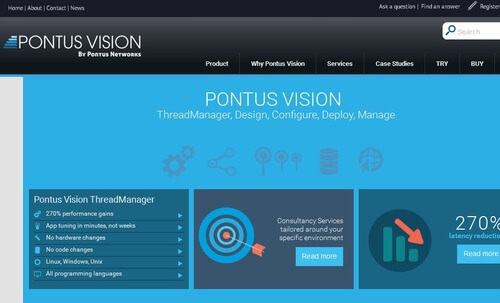 PontusVision Thread Manager reduces the time required for system performance improvement from several weeks of unpredictable experiments to just seconds of simulations. It banks on industry-tested templates to automate software and hardware deployment. 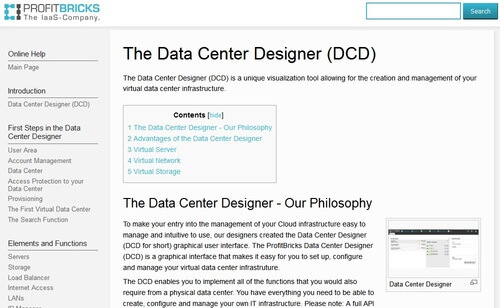 ProfitBricks Data Center Designer (DCD) is a graphical user interface or API that makes it easy for system and network administrators to manage, configure and design virtual data centers in the cloud. A major player in the automation marketplace, Puppet’s client list features some big names including NASA, Salesforce, Intel, Gettyimages, Verizon, Uber, and Sony. Puppet provides a standard means of delivering and operating software. Its easy-to-read language simplifies the process of defining what your infrastructure and apps should look like. 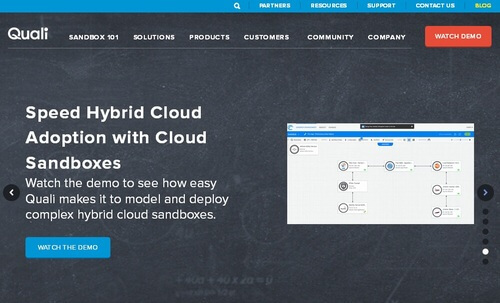 Cloudshell Cloud Sandboxing solution is designed to speed up the development of hybrid applications for the cloud. 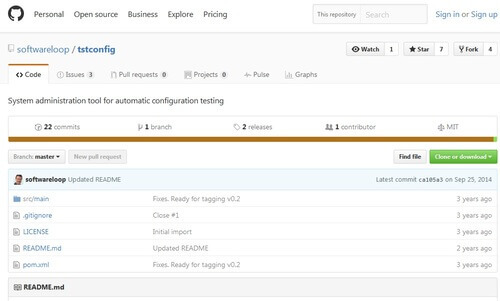 Automate cloud environments testing and deployment to production on both public and private cloud infrastructure. 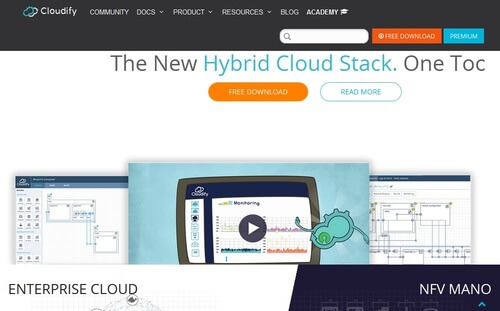 It provides a common working environment for even the most complex hybrid cloud setups. 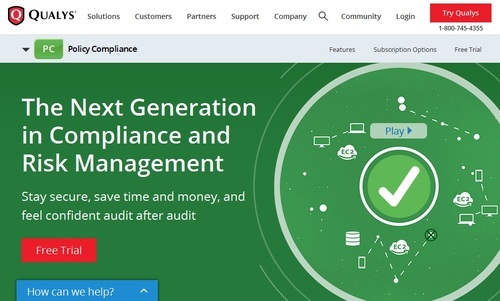 Qualys Policy Compliance (QPC) is a cloud management tool that facilitates the automation of IT security configuration assessment. It reduces risk and ensures continuous compliance with external regulations and internal policies. 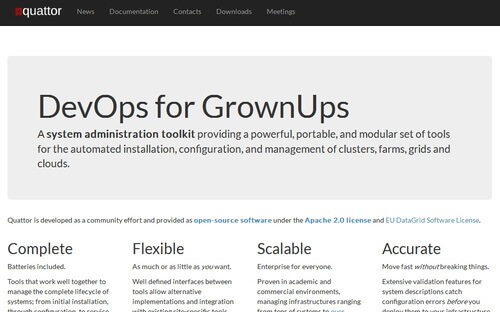 Quattor is a system administration platform that provides a modular, portable and powerful tool set for the automated management, configuration, and installation of clouds, grids, farms, and clusters. Quattor has three key building blocks: Configuration Management Database (CMDB) server, the Automated Installation Infrastructure (AII) server, and Managed Clients. 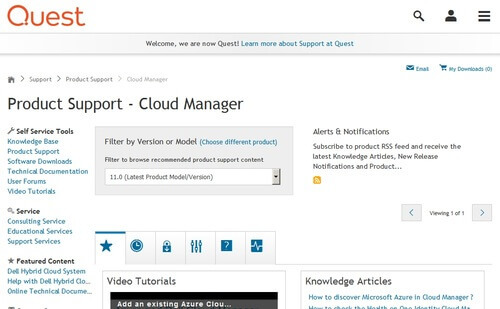 Quest Cloud Manager is an enterprise solution that provides choice, governance, and agility in cloud management. The manager serves as a single portal for the control and implementation of governance policies. 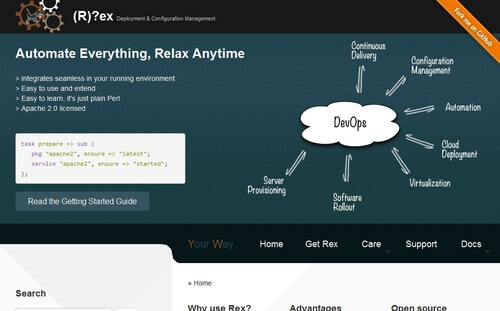 Rex is a server orchestration engine that uses SSH to execute commands. Perl knowledge is not necessary at the beginning though knowing at least the basics can help later on. 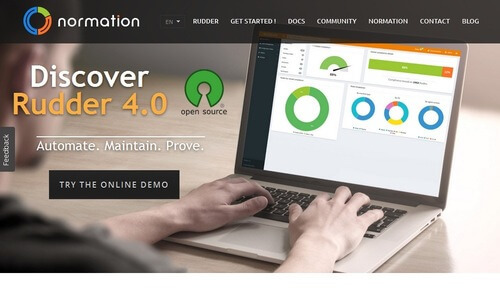 Rudder by Normation is a tool for infrastructure automation and compliance verification. 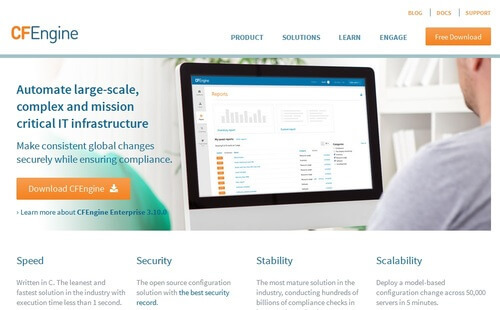 It seamlessly handles machine deployment (cloud, virtual, physical instances), configuration management and compliance monitoring (including ISO 27001, PCI-DSS, Corporate Policy, etc.). 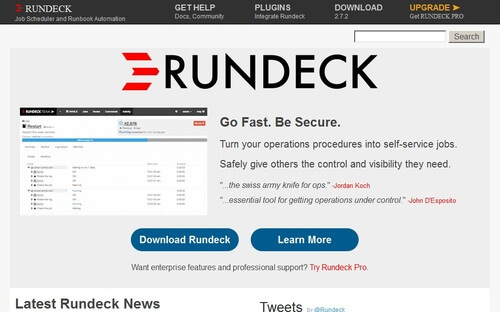 Rundeck is open source software that automates routine and ad-hoc procedures for cloud environments. It is used by organizations keen on improving control of daily operations, reduce errors and improve auditability/visibility. Standardize operating procedures, define access controls and view activity reports on a single dashboard. 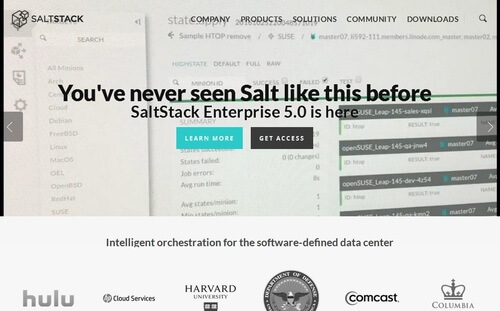 SaltStack is an established name in infrastructure automation. It approaches IT management by creating software that is easy to use, fast and scalable. SaltStack provides a dynamic communication bus for orchestration, configuration management, and remote execution. Since it was launched in 2011, SaltStack is one of the most active and fastest growing infrastructure automation projects in the world. 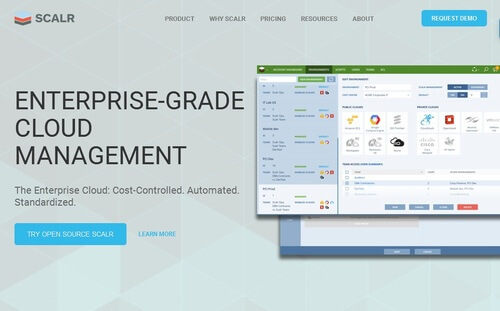 Scalr is an enterprise cloud management tool that facilitates the successful delivery of a standardized, automated, and cost-effective enterprise cloud. It uses a top-down, hierarchical approach that equips administrators with the requisite tools to balance development, security and finance needs. 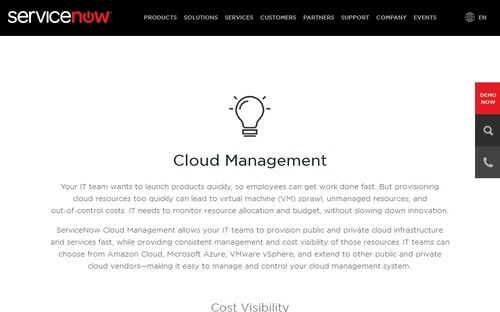 ServiceNow Cloud Management simplifies and automates the full cloud services lifecycle. It creates an environment that optimizes resource utilization and drives down costs. Accelerate provisioning, approval and service requests. Manage cloud environment efficiently and consistently, while ensuring security and compliance. 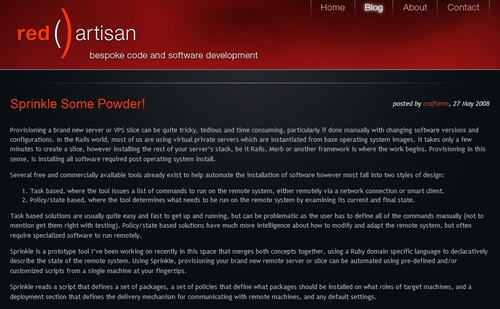 Sprinkle is a scalable, provisioning tool for building remote servers. Tstconfig allows system administrators to automatically test a large set of configuration files. It provides assurance on a system’s level of integrity. Remember that this list is in alphabetical order and is not ranked in terms of importance. Note that the same tool will have different importance and relevance from one organization to another. It will all depend on the complexity of the infrastructure environment the tool is meant for, the ease of integrating with existing systems and the acquiring organization’s budget.